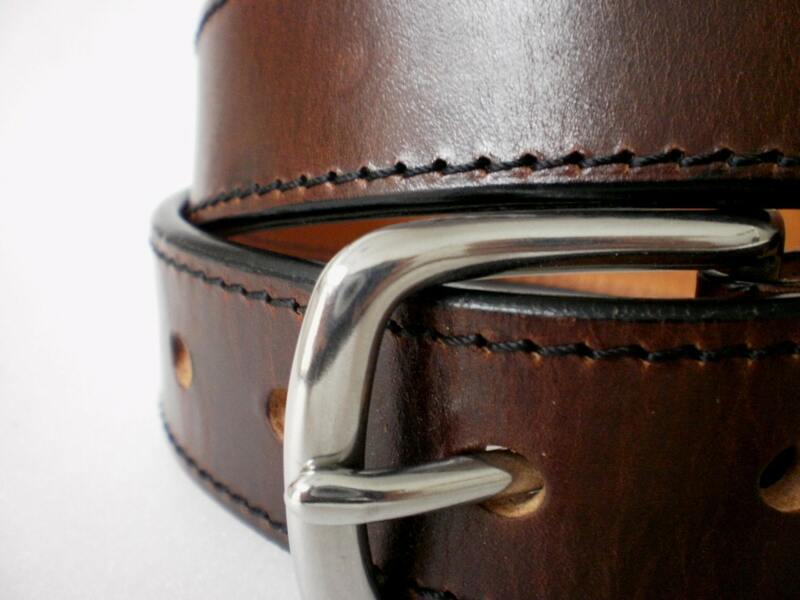 -Hand Crafted from 2 Thick Layers of Premium vegetable tanned Greek cowhide leather. This leather is from Crete island, from one of the last remaining tanneries in Greece. Really hard to find. It is a real pleasure to work with and very comfortable to wear. -Constructed using Two Layers of One-Piece Leather to prevent Curling. -Both Outer and Inner Layer is cut from 1/4'' thick leather. (6mm) !! -The Layers are then glued together & stitched with heavy nylon thread. - It has two skin sides and no flesh side ! 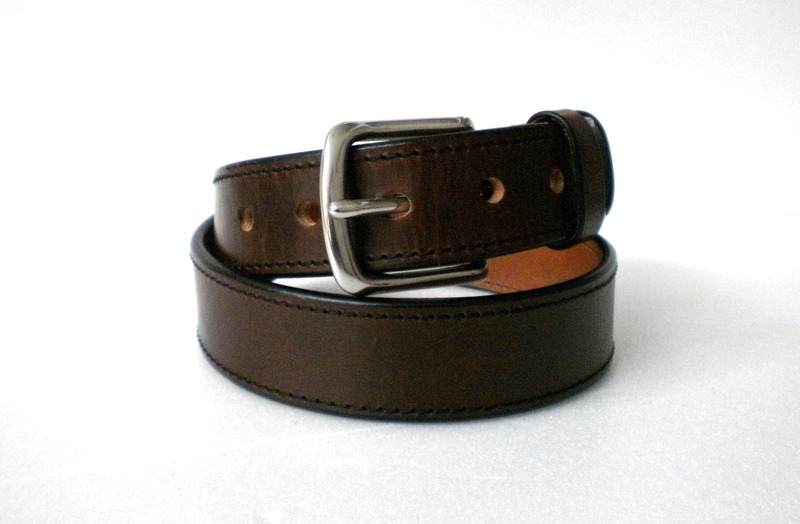 -Stainless steel buckle, UK made ! -Color : Brown, hand dyed ! Multiple coatings of dye gives this amazing deep color. Afterwards is hand polished with my own special leather cream formula containing extra virgin olive oil and beeswax. -All edges are carefully beveled and polished by hand, and sealed with black satin finish edge paint . 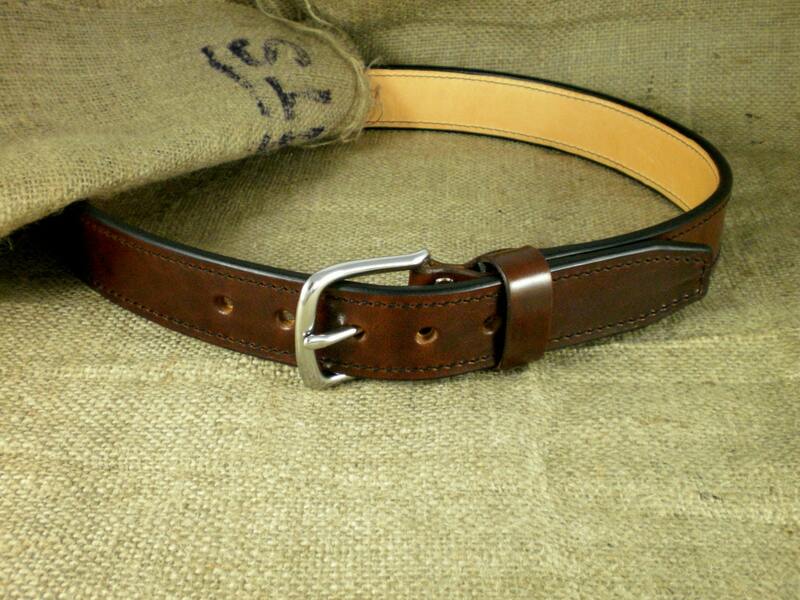 -Belt comes with burlap gift pouch. 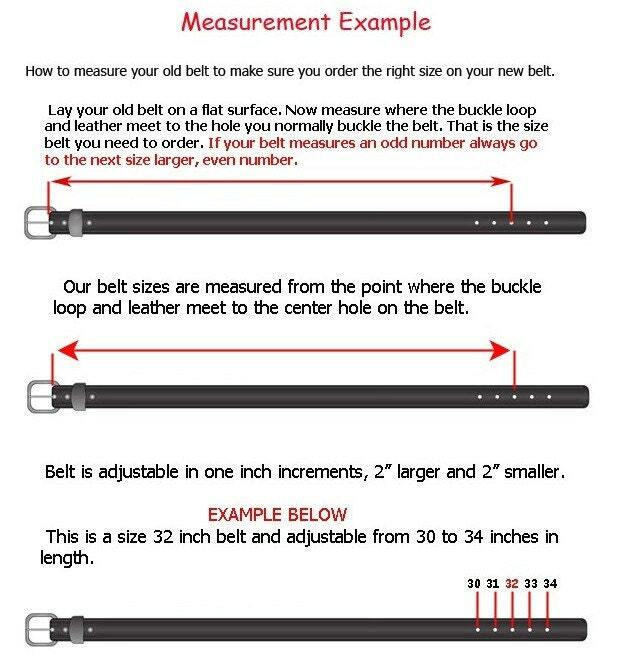 -Sizes from 30" to 46". For other sizes please contact me. Quality, look, and feel is amazing. 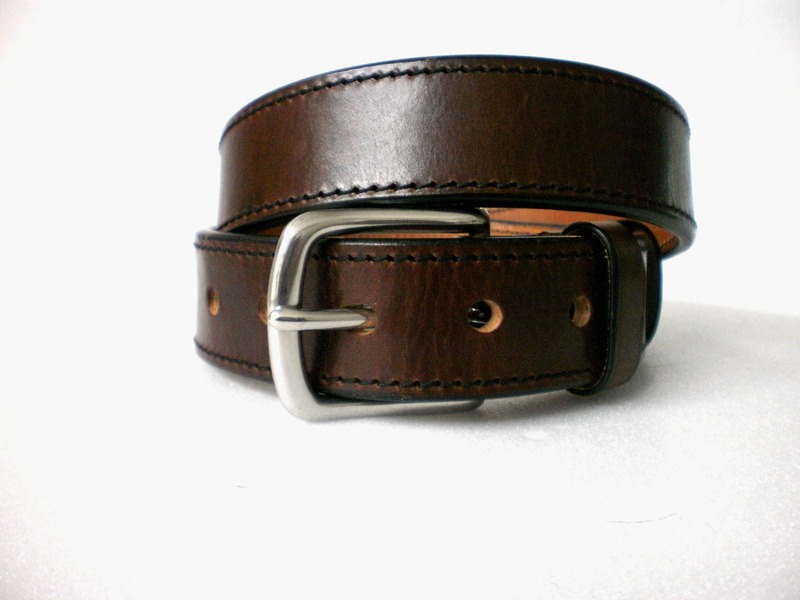 Well worth the money for this sturdy hand crafted belt; I have no doubt it will last a lifetime. I'm a repeat customer, and will continue to be! Great customer service, thanks Andrew! !